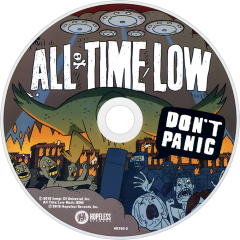 Don't Panic is the fifth studio album by American rock band All Time Low. After signing with major label Interscope Records in November 2009, the band worked on their fourth album Dirty Work. It was delayed a number of times until its eventual release in June 2011. During that time, the people at the label that had signed the band were fired or replaced. By the end of the year, vocalist/guitarist Alex Gaskarth said Dirty Work was "kind of dead in the water", prompting the band to work on their next album shortly afterwards. 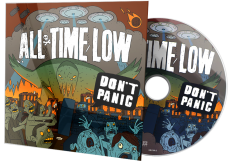 After completing a week of pre-production in April 2012, the band started recording Don't Panic with Mike Green, in Los Angeles, California and finished in May. The album features appearances from Cassadee Pope of Hey Monday, Anthony Raneri of Bayside and Jason Vena of Acceptance. The band toyed with the concept of self-releasing the album, before having discussions with various record labels. 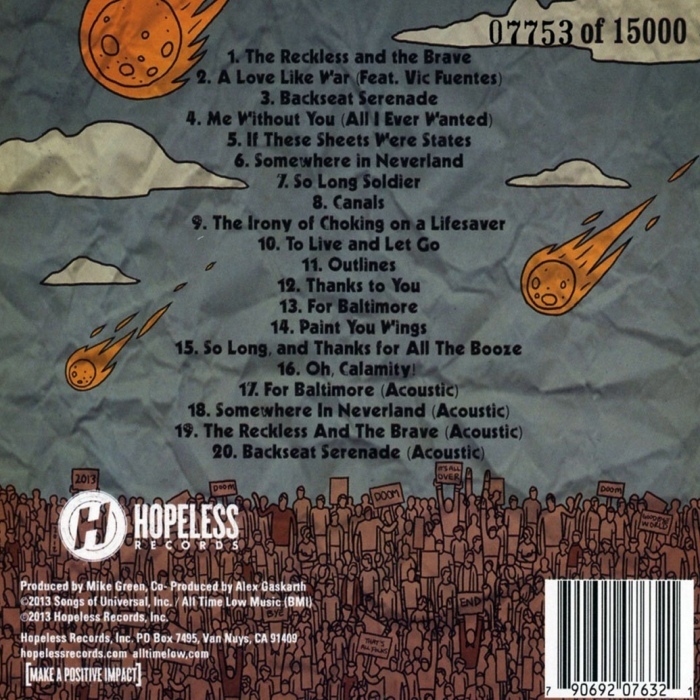 After signing with independent label Hopeless Records, "The Reckless and the Brave" was released as a single. 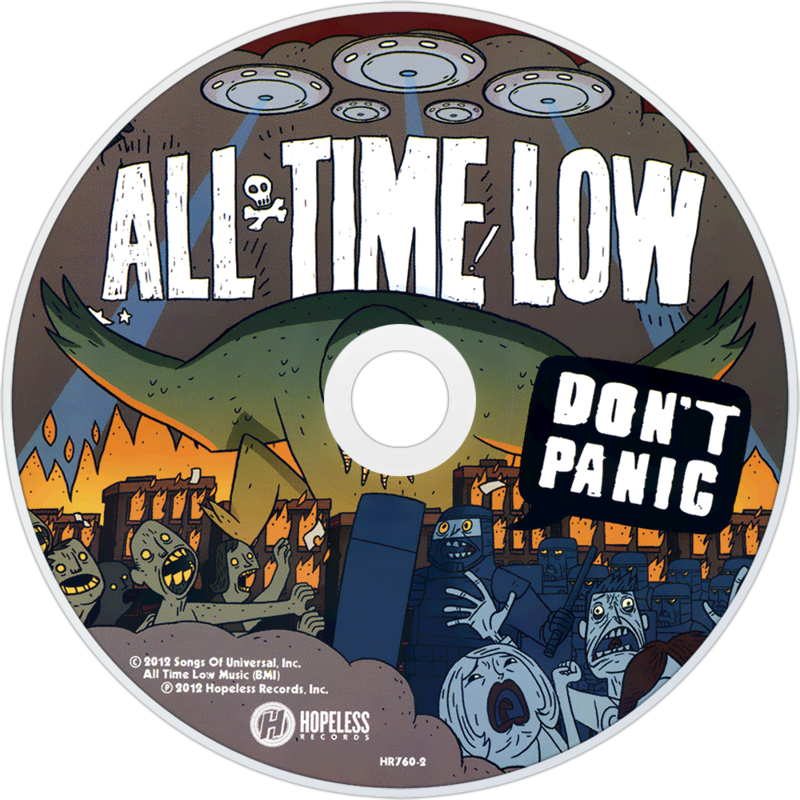 In August, Don't Panic was announced for release in October and the band performed at the Reading and Leeds Festivals in the UK. "For Baltimore" and "Somewhere in Neverland" were released as singles in August and September, respectively. 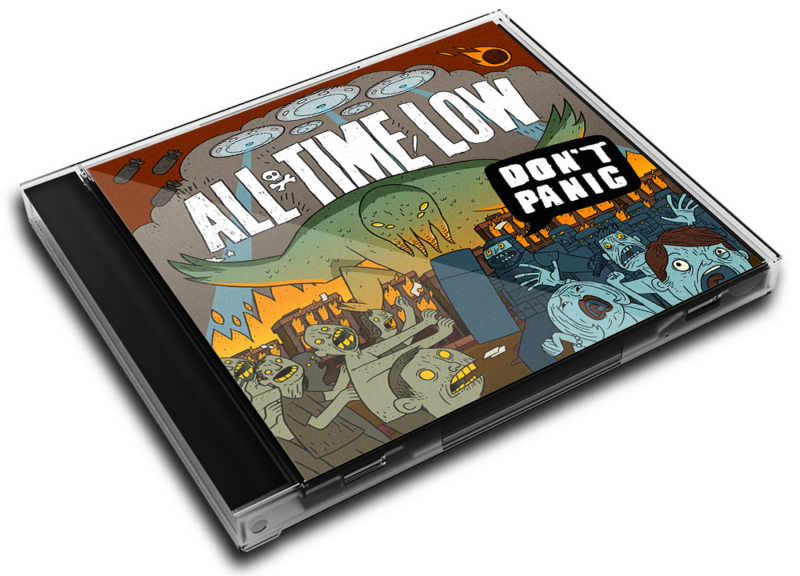 Don't Panic was released on October 8. In October and November, the band went on The Rockshow at the End of the World Tour across the US. During the tour, a music video for "For Baltimore". In early 2013, the band went on a co-headlining North America tour with Yellowcard, before embarking on a UK tour. It was followed by appearances at Soundwave festival in Australia. A music video for "Somewhere in Neverland" premiered on MTV in mid-March. Throughout April and May 2013, the band went on a co-headlining North America tour with Pierce the Veil. Also in May, a music video was released for "Backseat Serenade", and the band headlined Slam Dunk festival in the UK. 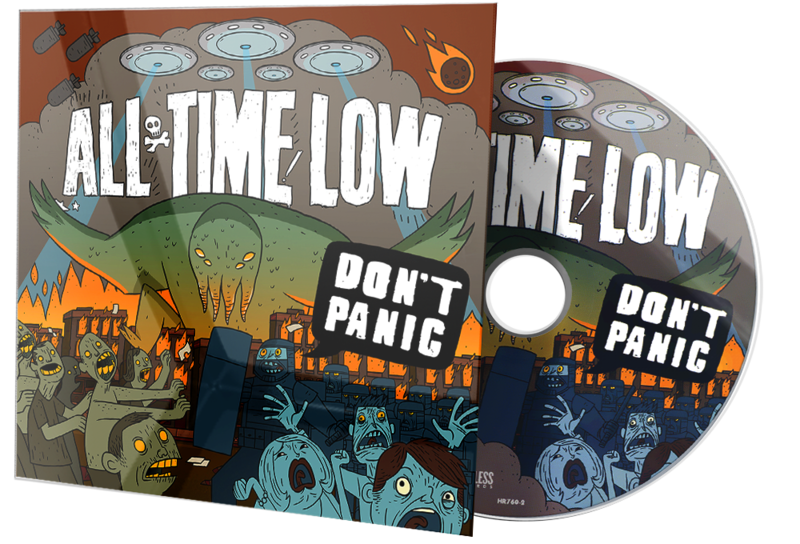 In September, Don't Panic was reissued under the title Don't Panic: It's Longer Now!. The reissue featured four new songs, namely "A Love Like War" which featured Vic Fuentes of Pierce the Veil, as well as acoustic versions of other songs. "A Love Like War" was released as a single, as well as a music video for the song, in September. The band then supported A Day to Remember on their tour of the US in September and October. In Mach 2014, the band went on a UK tour, which was followed by a US tour, dubbed A Love Like Tour, until May. A music video for "The Irony of Choking on a Lifesaver" was released on May 14, which consists of footage from their preceding UK tour. Much has been made about All Time Low’s short time spent on a major label. Were there too many cooks in the kitchen? Absolutely. Did the resulting album, Dirty Work, lack the spark that ATL usually bring to the table? Well, yes and no. It’s easy to focus on Dirty Work’s negatives (as they were numerous), but the album also delivered some of the band’s best work to date—“Guts,” “Under A Paper Moon” and “Heroes” are all essential ATL. 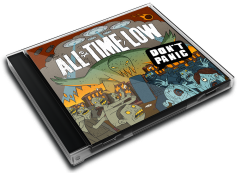 Now that the band are back in control of their career, they’ve created Don’t Panic, an album that drops any of the pandering pop-radio bait and rightly focuses on the band’s strong suit—upbeat, catchy pop-punk indebted to Blink-182, New Found Glory and Jimmy Eat World with lyrics that actually mean something. “Thanks To You” is really the quintessential example of what All Time Low ca. 2012 should sound like. It starts off with a great, ’90s-alt-rock guitar lead before settling into a bouncy, mid-tempo groove with Alex Gaskarth emoting, “But there’s this ringing in my head/As the ghost of you hangs over my bed/Thanks to you, I’m not myself/I’m all strung out/That much is clear.” It’s a perfect example of the band fusing together their increased musical prowess and knack for vocal earworms with the lyrical passion so evident on ATL’s early work that fell more and more by the wayside the bigger the band got. The album isn’t perfect, though; “The Irony Of Choking On A Lifesaver” feels a little too easy considering how far the band have progressed, and album closer “So Long, And Thanks For All The Booze” features some speedy double-time parts but isn’t as memorable as it’s side A counterpart “So Long Soldier.” However, neither of these are as skippable as, say, “Hello, Brooklyn” or “That Girl,” which once again shows the band are improving, even in their weaker areas. Don’t Panic might not become Hustler Club members’ all-time favorite ATL record due to the nostalgia associated with So Wrong, It’s Right or Nothing Personal, but from a purely musical standpoint, there’s no question that this is All Time Low’s best work to date. It’s mightily impressive how far Gaskarth & Co. have come in five years; here’s looking forward to where they’ll be in 2017.